Premier Biotech Labs, LLC analyzes specimens using state-of-the-art technology, including immunoassay screening and liquid chromatography coupled with tandem mass spectrometry (LC-MS/MS). We use the immunoassay to screen for classes of substances and confirm all screened positive substances using mass spectrometry. Premier Biotech Labs maintains quality control and quality assurance in the testing process. Areas of focus include specimen accessioning, handling and analysis, routine review of lab personnel performance and procedure, maintenance of equipment and results review and reporting. We adhere to meeting or exceeding standards and requirements set by the federal government (CLIA), and state government. Additionally, unlike most clinical laboratories Premier Biotech is a CAP Forensic Laboratory. All of our clinical specimens are processed in our forensic laboratory, requiring rigorous quality control and proficiency testing. Forensic laboratories require complete chain of custody, restricted access to the laboratory, and more frequent inspections. 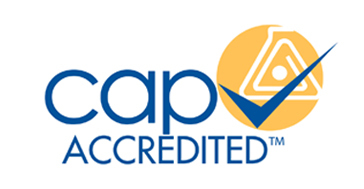 In short, CAP Forensic Accreditation provides our customers with confidence in the highest quality results.